Say hello to summer crochet with 25+ lightweight styles for sunny days! You need to check out the August issue of I Like Crochet because it’s full of this summer’s hottest new crochet patterns, including the Rose Resort Tee, Allons-y Bag, Sand Dollar Earrings and the Fresh Air Scarf. Back to School patterns, like the Play it School iPad case and the Purr-fect Backpack, will help your little ones gear up for a new school year; while the collection of on-the-go patterns will help you crochet during the rest of your summer vacation. Whether you’re ready for the summer days, or you are just looking to crochet something bright and new, this issue has what you need. Subscribe today to receive the latest issue of I Like Crochet on your iPad or desktop. View the full Table of Contents for this Issue HERE. Subscribe HERE to access all the patterns in this issue! A subscription to I Like Crochet includes six issues annually, with each issue delivering 30 projects and 7 tutorials, for a total of 190 projects and 42 tutorials during the year. 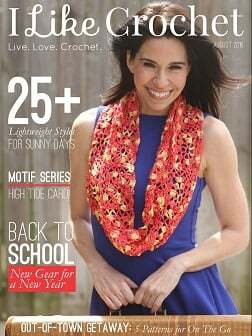 For the greatest value and convenience, combine website access to I Like Crochet with a tablet magazine subscription. This is fantastic! Esp as I find it hard sometimes to find summer projects as I’m in the southern hemisphere. Loved the review of summer weight crochet – always on the lookout for summery suggestions! These definitely fit the bill! It looks awesome but where I live you can hardly wear clothes during the summer imagine anything around the neck or crocheted!!! It would have to be for the autumn. I love this book, it makes me want to try something different! I love the backpacks in this review! 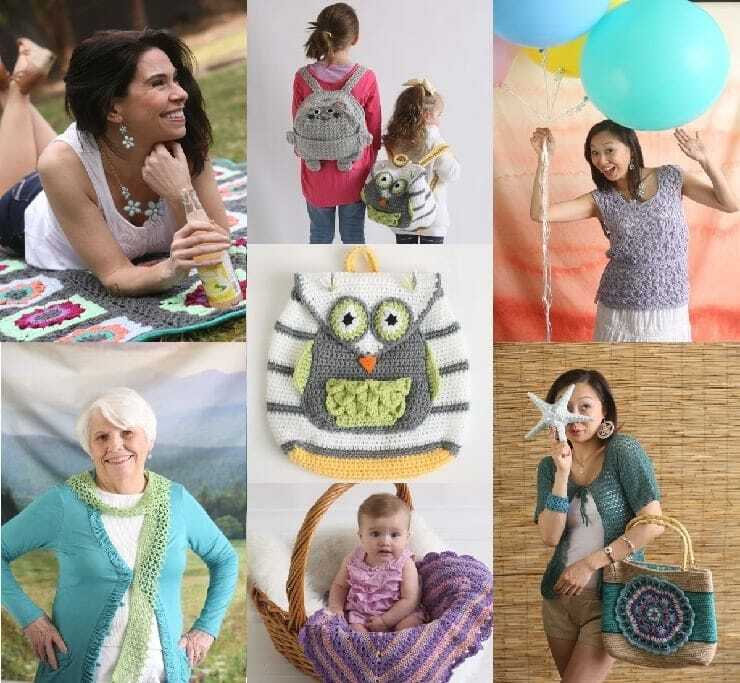 I like all crochet items, but the owl backpack is my favorite! Love the bags in this book! Thank you for the review. I love the lightweight sweaters in this issue. Looks like some great patterns! I’ve always enjoyed your reviews, for their honest opinions. I would love to have the “I Like Crochet” , magazine, but I’m on a fixed income, and this month is just too tight to order it. But thanks for the review. I think this would be a great book to add to my collection. Looks like a great publication! I’ll have to put it on my wish list! I like summer projects because I live in a warm climate. I’m glad to know this book exists. I need to add it to my collection.